When your child has just undergone surgery, it's integral that their feet are properly protected. This isn't just to protect against wear and tear, but it's also to guard against re-injury or aggravation. The Darco Slimline Paediatric Cast Boot is a versatile boot available in a number of different colours. Children's casts in particular are often subject to intensive use. 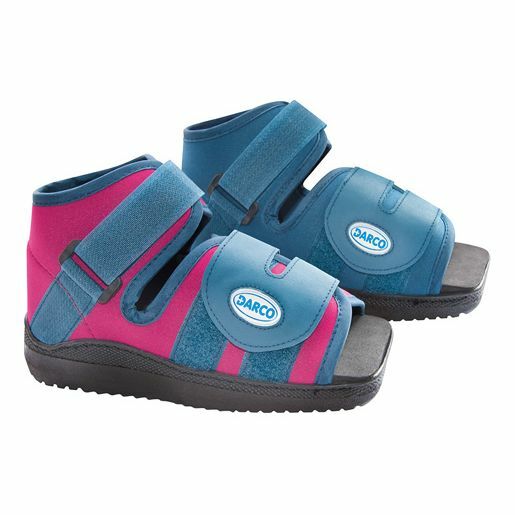 Darco's Slimline Paediatric Cast Boot offers protection against dirt and rapid fading. Its square toe also acts as a protective bumper for your child's toes to shield them from impact. The Slimline Paediatric Cast Boot uses adjustable closure technology for bulky bandages or casts. This is particularly important for cast boots that are being used post-operation as footwear must be comfortable and shouldn't be too tight.